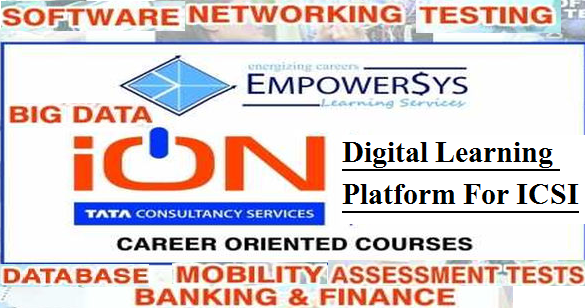 New Delhi, 21 August 2917: TCS iON, a business unit of IT major Tata Consultancy Services (TCS), on Monday announced its partnership with the Institute of Company Secretaries of India (ICSI) to help foster digital learning opportunities for students. TCS iON would deploy an end-to-end digital learning solution for ICSI to facilitate self-education for students, especially those in remote areas who don't have easy access to the institute's regional chapters. TCS iON, on Monday announced its partnership with the Institute of Company Secretaries of India (ICSI) to help foster digital learning opportunities for students.